Here’s how news gets reported at Work in Prowess, at least, when I’m doing it. While most media seems to operate under the formula of reporting the actual newsworthy, I prefer to find something I really really really like and then repeatedly Google News search it until I can find a legitimate reason to report news about it. Does this make sense? No, it doesn’t. But it makes me happy. Last night, I saw a dachshund being taken for a walk, and my life changed. A dachshund is what my life needs. I need a dachshund more than I need a job. 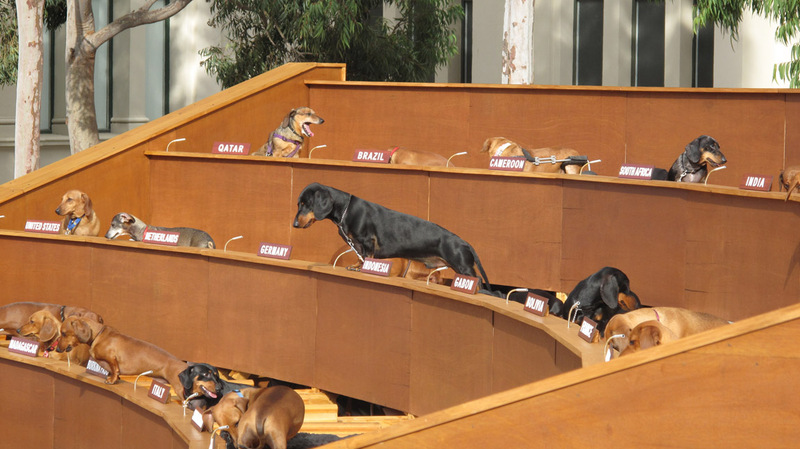 I need a dachshund more than I need the respect of my peers. 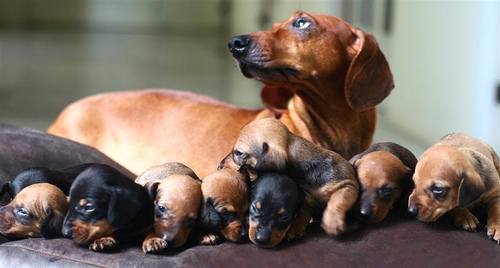 A dachshund is five inches high and nine inches long. 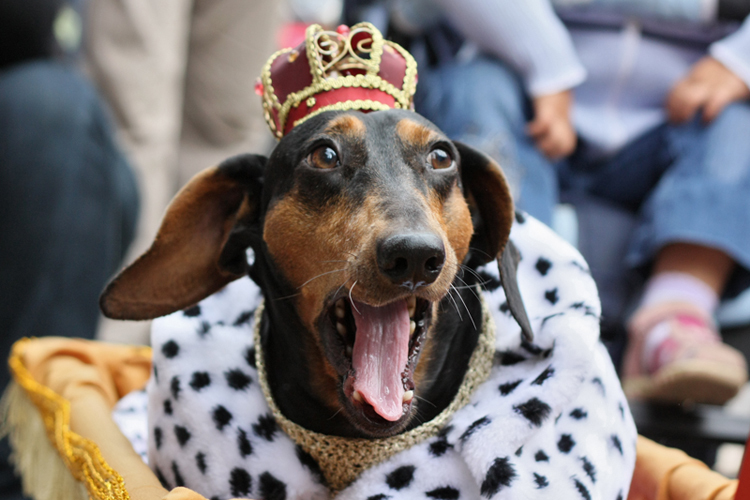 A dachshund can live up to fifteen years. I could use my dachshund to track badgers. 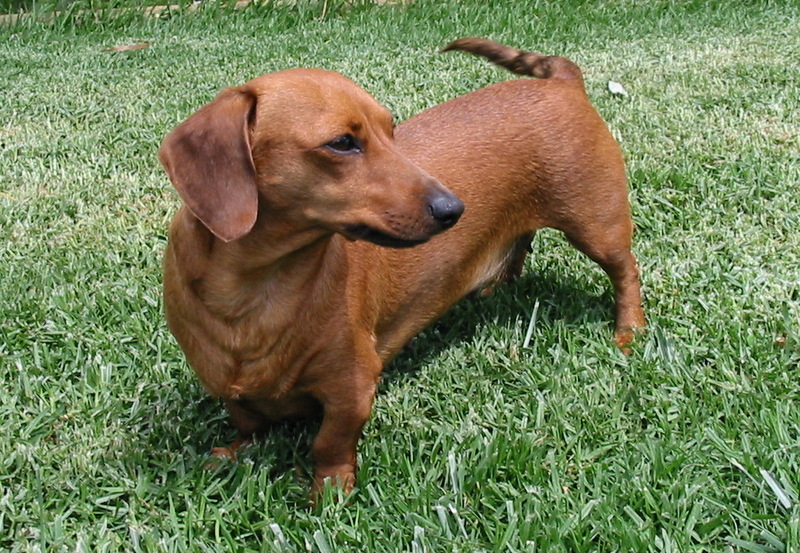 My dachshund would only need to be walked every three days, for thirty seconds at a time, so as not to overwork his teeny tiny dachshund legs. My dachshund would jump surprisingly high. Where does my dachshund sleep? In a nest of Jubilee bunting. What does my dachshund eat? Raisins and marshmallows. My dachshund would make me want to take up knitting (FIG.1). My dachshund takes great comfort in hiding underneath chairs and tables. My dachshund’s favourite movie is Miss Congeniality. My dachshund could be my “thing”! Hey Caroline, worked out your life yet? No. I have a dachshund instead. 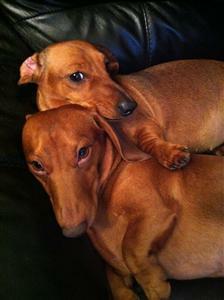 These Dachshunds are called Snuffels and Bella, and are only £50 each! 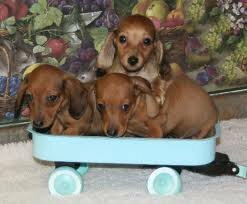 These dachshunds cost £425, but come with their own little blue wagon.